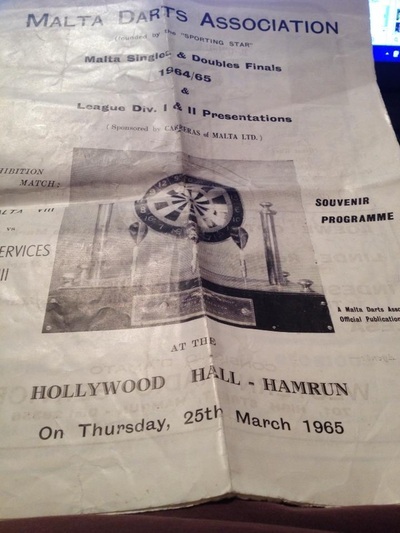 Maybe not everyone's idea of a 'Sport' but very popular nonetheless. 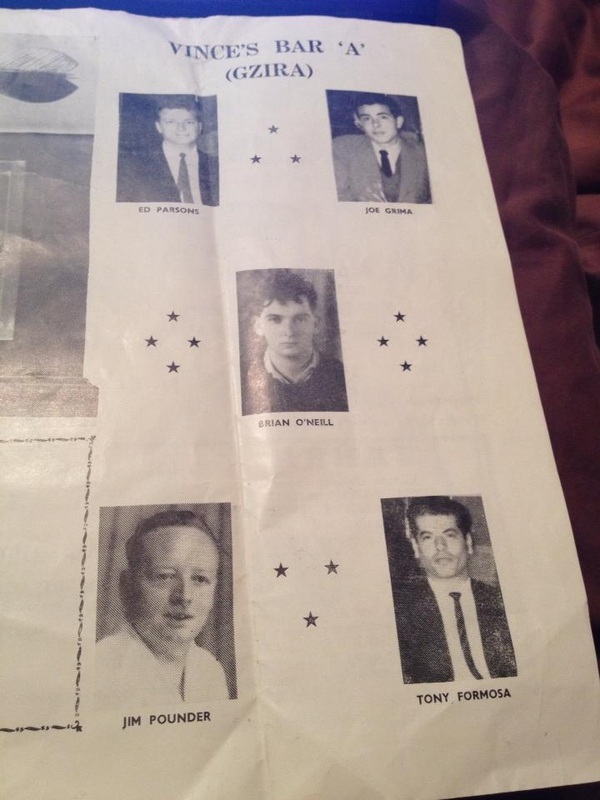 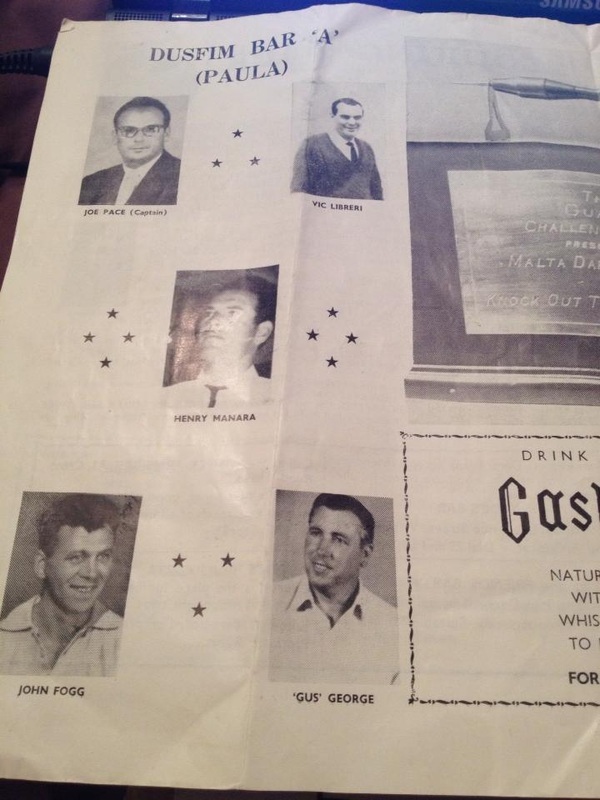 Robert Fogg - Some memorabilia from his father John Fogg. 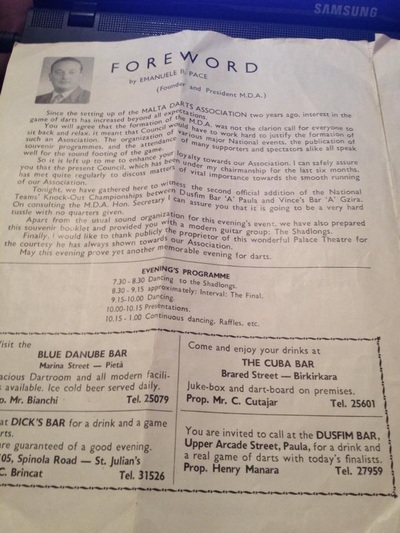 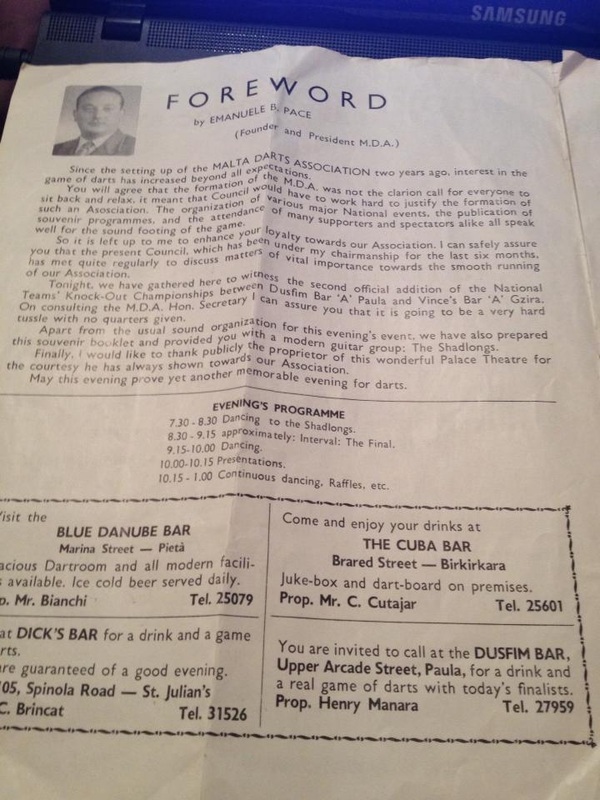 My father was based at Luqa in the mid 60s. May 1963-May 1965 I lived there with him, my mother and sister in Paola. 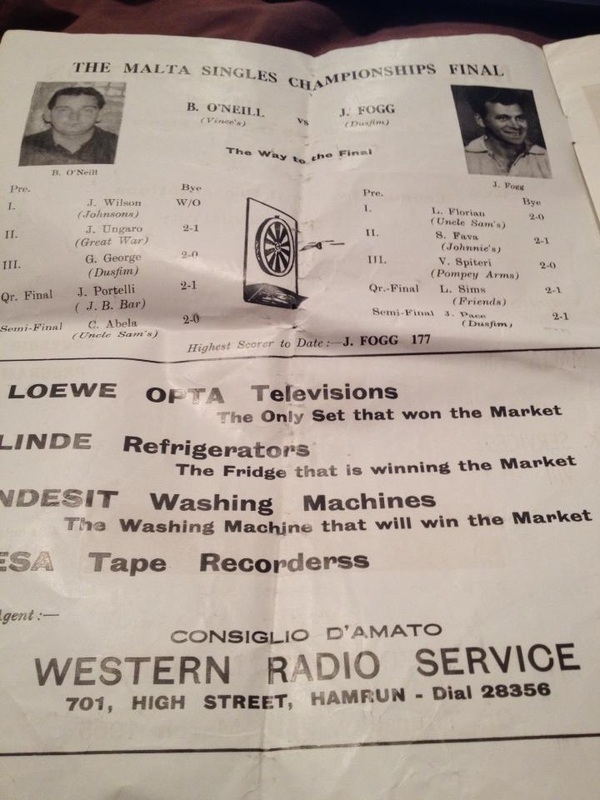 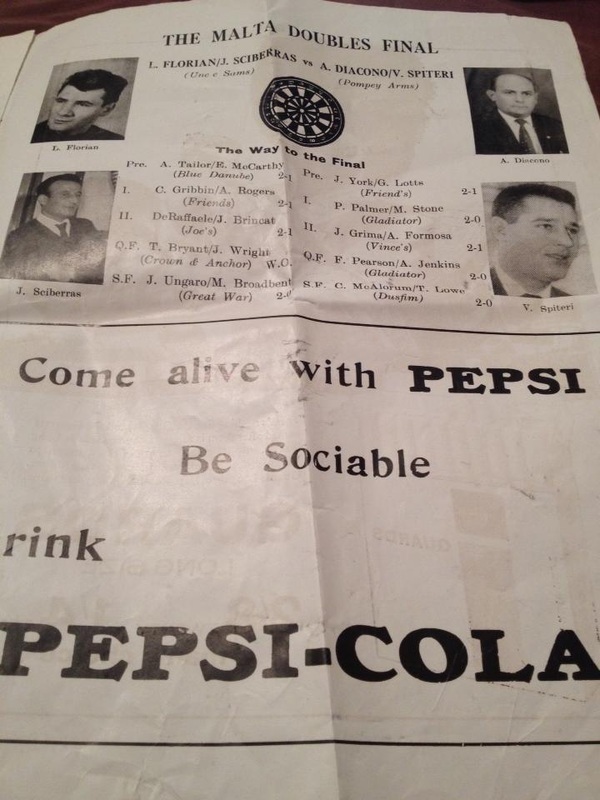 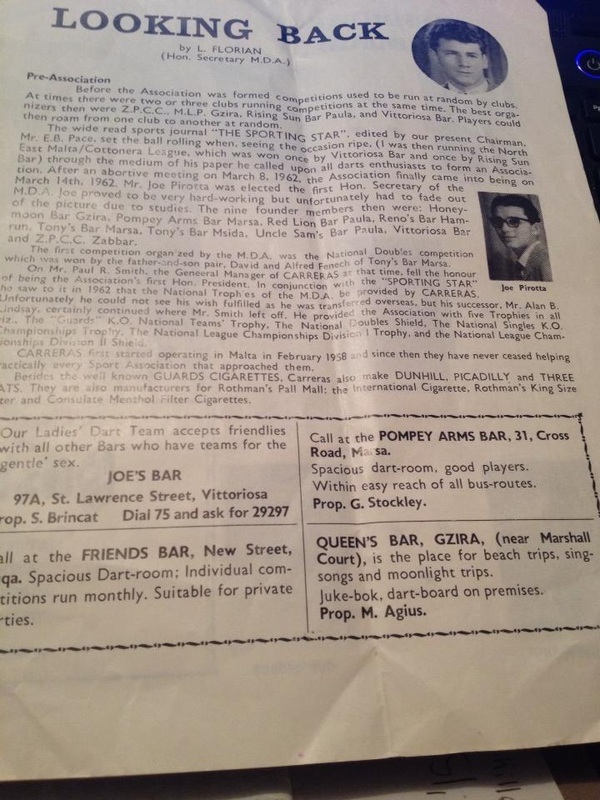 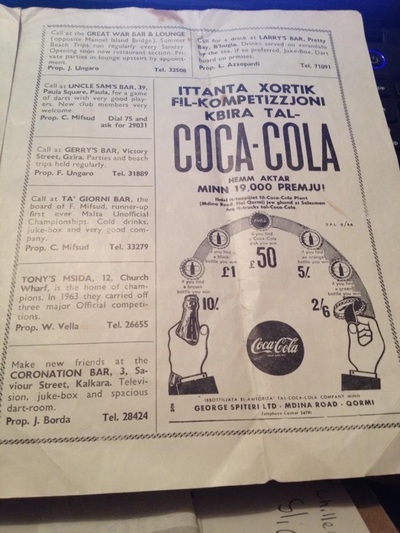 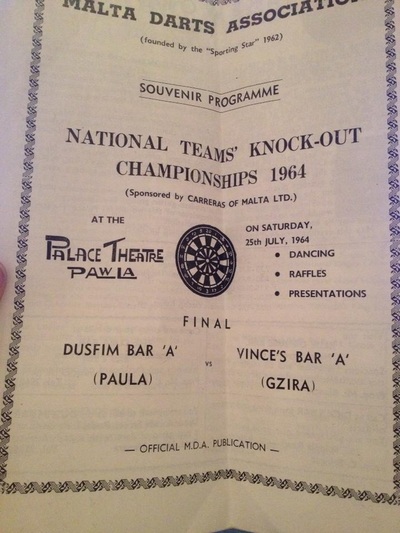 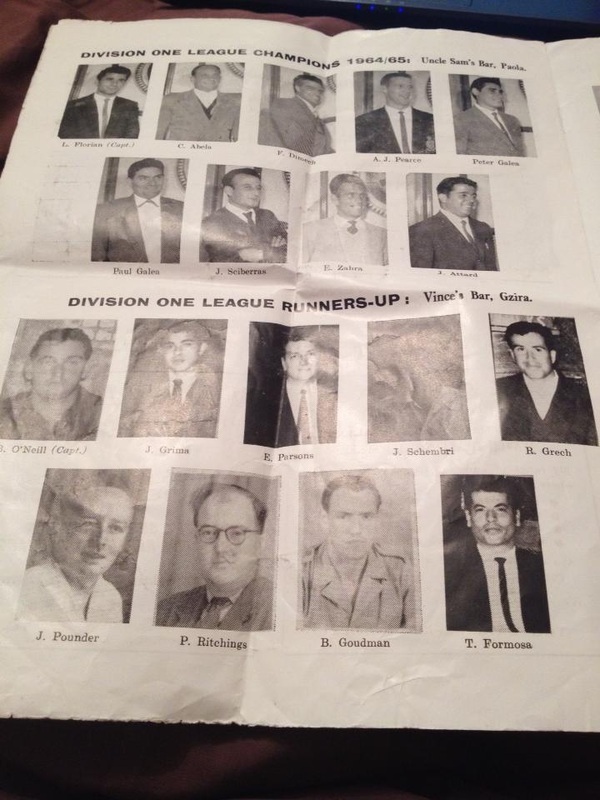 My father was a big darts player and played darts for a local bar and as a result entered and won the darts open championship 1964.I have some photos not just of him but from 2 programes for darts tournaments. 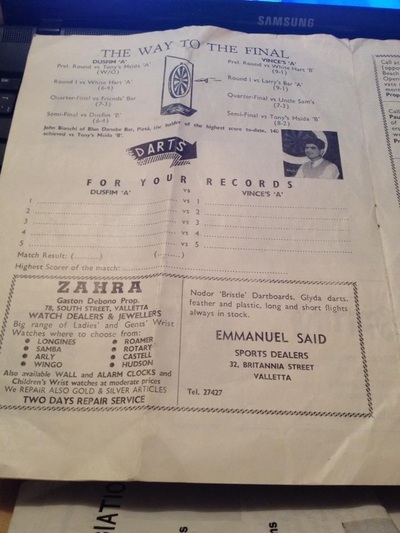 they include pictures of english and maltese darts enthusiasts. 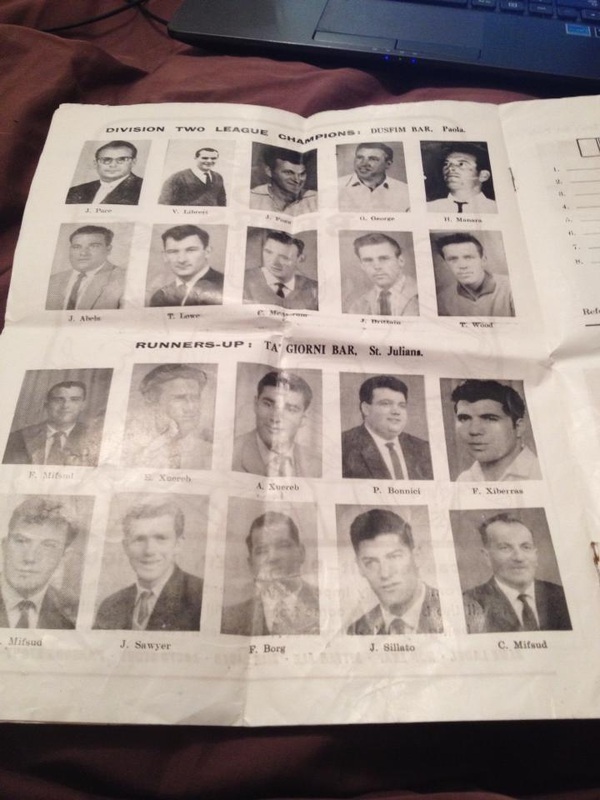 I was just wondering if you would be interested in having them on your site to use.I know its probably not classed as a sport as such but some of your members may recognise some of the people in the pictures and the events they portray.